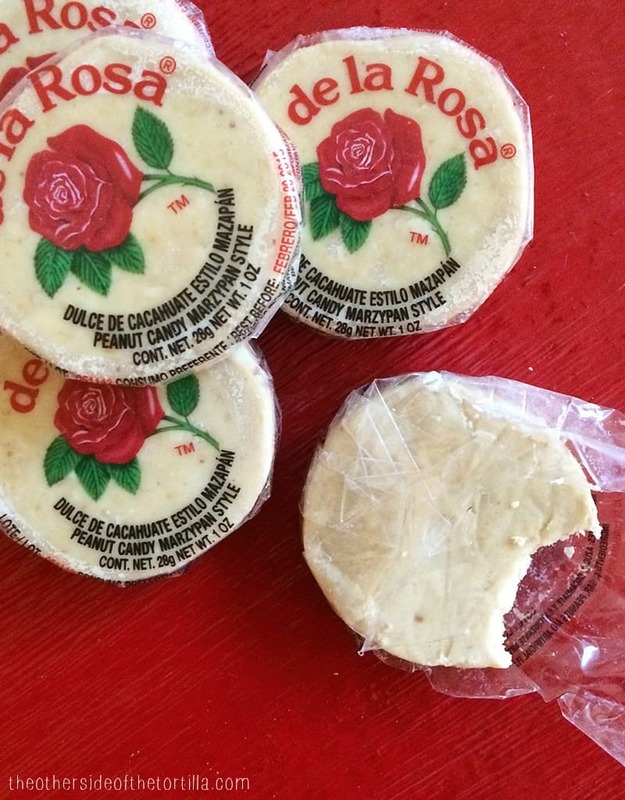 Mexican marzipan, known as mazapan, is perhaps one of the simplest candy treats to make. After all, it’s typically only got two ingredients: ground peanuts and powdered sugar. Earlier this week, a friend at work brought me a bag full of mazapanes from her cousin’s trip to Mexico. He had given her too many and so I offered to take some of them off her hands. This simple, traditional candy reminds me of my husband’s abuelita Ana and her sweet, sly smile when she talked about her favorite foods. Her eyes twinkled and she would get this contagious grin that started on one side and slowly spread across her mouth, as if she knew the world’s best secret. Since moving to Los Angeles in 2013, we’ve eaten a lot of tacos. There aren’t a lot of places where we’ve returned to eat twice, but one place I like is Lotería Grill—specifically their location at the LA Farmers Market. 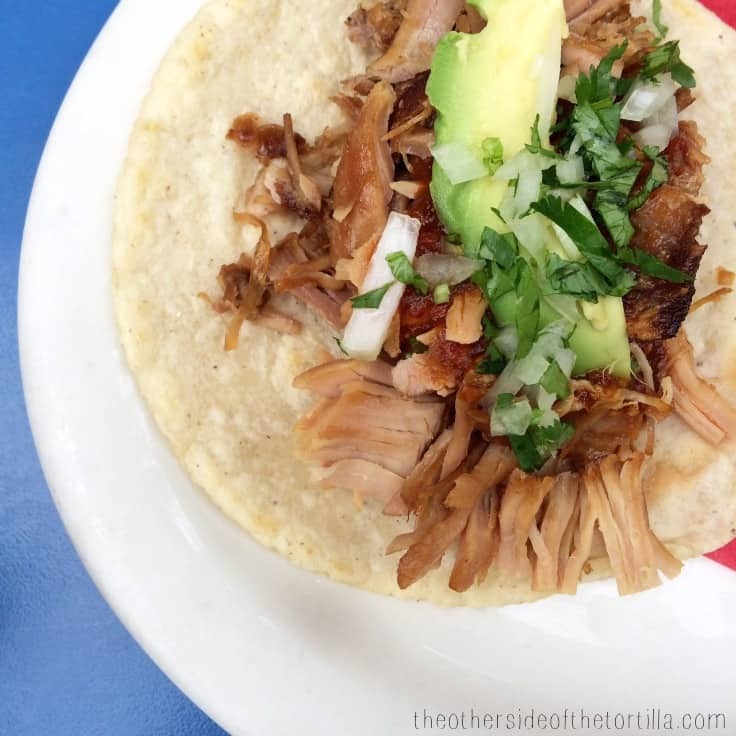 It has a taco stand feel, the hustle and bustle of an open air market, a whimsical lotería board wall and the tacos I’ve eaten there are consistently good. I recommend this taco de carnitas, pictured below, which is made with Michoacan-style carnitas, salsa de chile morita (which is really not that spicy—although it says spicy on the menu—but is perfectly smoky), and is garnished with a slice of avocado, onion and cilantro. A few weeks ago I enjoyed lunch here with some girlfriends and couldn’t resist snapping a few photos to share. Cesar Chavez Day is celebrated every year on March 31, the birth date of the famed Mexican-American labor leader and civil rights activist who helped unionize farm workers. I recently had a chance to visit a strawberry farm in Southern California with the California Strawberry Commission, where I had the chance to ask farmers questions about everything from how they grow their crops to their workers’ safety and healthcare, and immigration issues in the agricultural industry. 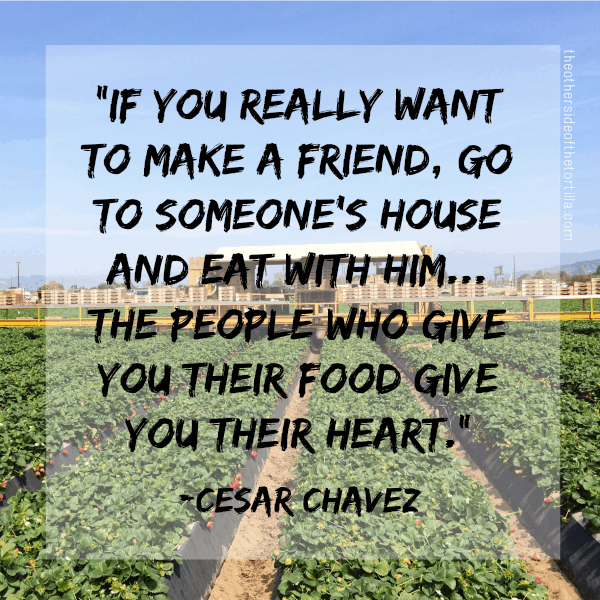 I’m sharing one of my favorite Cesar Chavez quotes with you, written over a photo I took at the strawberry farm. 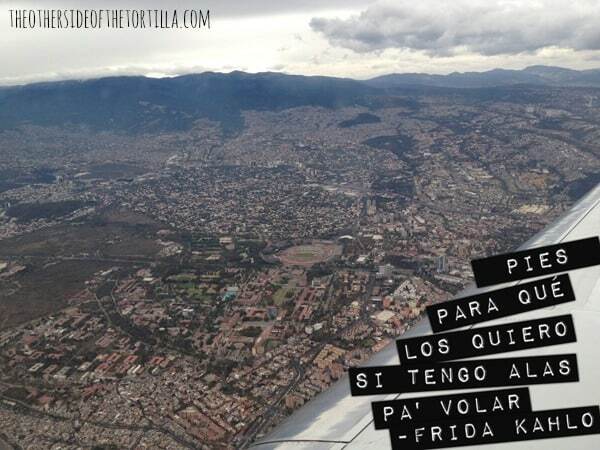 More on that trip soon, but for today, just the quote. If you’d like to know more about Cesar Chavez, you can read his biography and about his work, archives of his speeches and writing, and more, courtesy of the Cesar Chavez Foundation. Over the holidays we spent time with our family at a resort in the Riviera Maya, just south of Puerto Morelos, Mexico. We love to explore when we travel together, so we rented a car and headed to the sea port town to find a place to snorkel. I took this photo as we were returning from snorkeling, pulling the little boat back up to the dock. On the last full day of my most recent trip to Mexico City, my sister-in-law and I ran some errands together, culminating in a stop at the mercado Coyoacán—one of my absolute favorite places to visit in Mexico City. There’s a little, nondescript stand on the outskirts of the market with a yellow sign, which our family has long frequented because of the awesome quesadillas and gordas. My favorite item on the menu is the gorda de chicharrón, served with cheese on the inside. I like to also add some fresh salsa verde. As you can see, I REALLY enjoy eating these because you just can’t get the same thing at home in the U.S.
A few weeks ago, I visited the state of Yucatán on a press trip for a few days to get to know the city of Mérida and the surrounding area, which was incredibly charming. Though my visit was short, it was jam-packed with activities—including things I didn’t think that I’d ever do on my own, but that I had a lot of fun doing—such as kayaking in a mangrove and bicycling several miles on a path through an estuary, where I spotted wild flamingos. 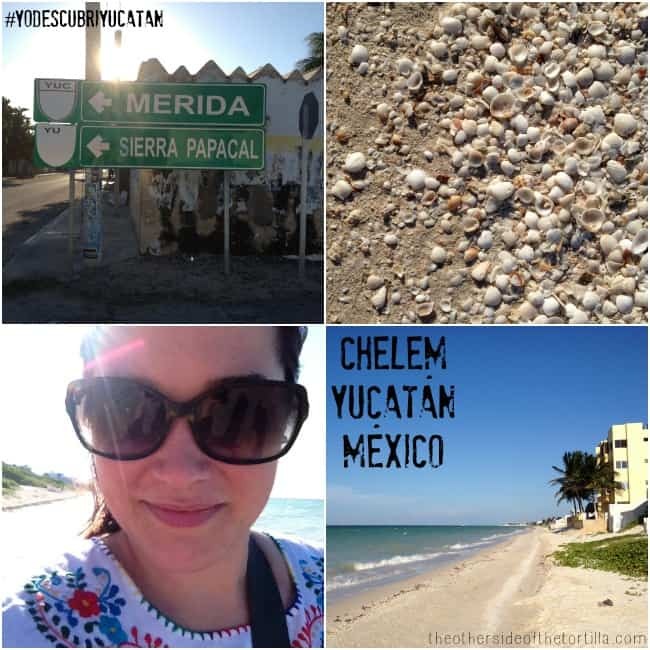 One afternoon, we had a little bit of down time before the bicycle ride, so we hung out in a tiny little beach town called Chelem near Progreso. 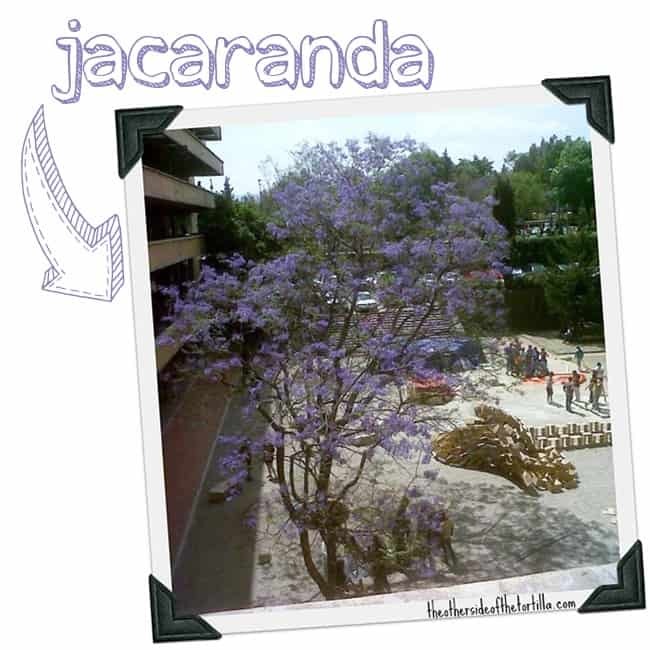 Here are a few photos from the time I spent there. I loved the quiet beach and the water was like a warm bath, very calm with hardly any waves. I hunted for sea shells—a favorite pastime since I was a kid—and also walked around the town square, checking out the little neighborhood bodegas to see what kind of local produce they had available. More about this trip soon! In the meantime, if you’d like to find more of my photos from the trip, check out my Instagram feed (@MauraHernandez) and also search the hashtag #yodescubriyucatan on Instagram for photos from other travelers. Have you been to any of the little beach towns near Progreso in the state of Yucatán? Since we’re still relatively new to Los Angeles, we decided to get out of the house during L.A. Restaurant Week after I saw the #dineLA hastag on Twitter. We hadn’t been downtown yet, so we decided to head into the city for an experience. We ended up at Rosa Mexicano (the LA Live location) because I’d eaten there in another city when I was traveling for work a few years ago and liked it quite a bit. 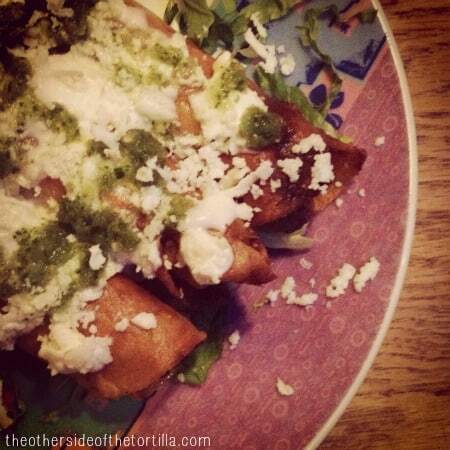 Appetizer: Tacos dorados de pollo (also known as flautas) served with crema Mexicana, cheese and salsa verde. 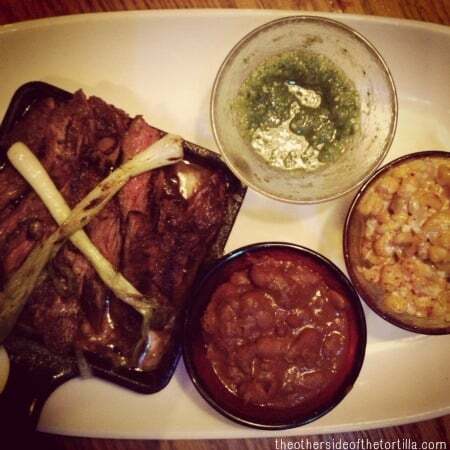 Main Course: Carne asada, frijoles con chorizo, esquites and a fresh salsa verde. The esquites were so good that I had to steal José’s since he’s not really a fan. I couldn’t let them go to waste! 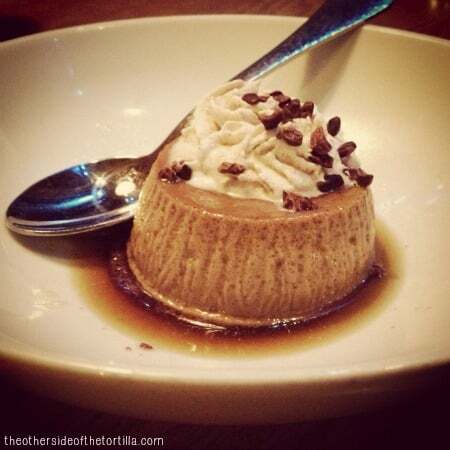 Dessert : Espresso flan with a cinnamon whipped cream and nueces (pecans). The galleta on the bottom was divine! 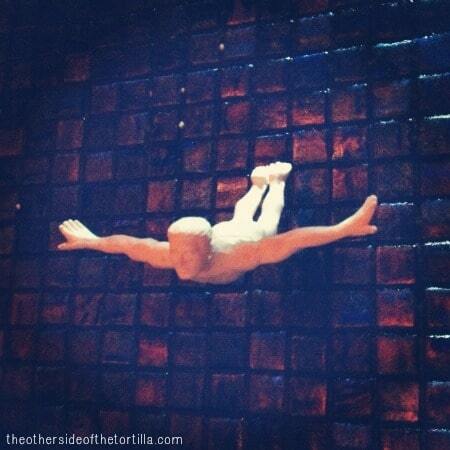 I also loved this little detail in the decor on the walls at this location that reminded me of the cliff divers in Acapulco. Rosa Mexicano has a Festival de Helados going on through August 26 (at all locations) with paletas, raspados, helados and more in interesting flavors such as guava, chile de árbol and huckleberry, honey-amaranth crunch, plantain and peanut butter, and others. 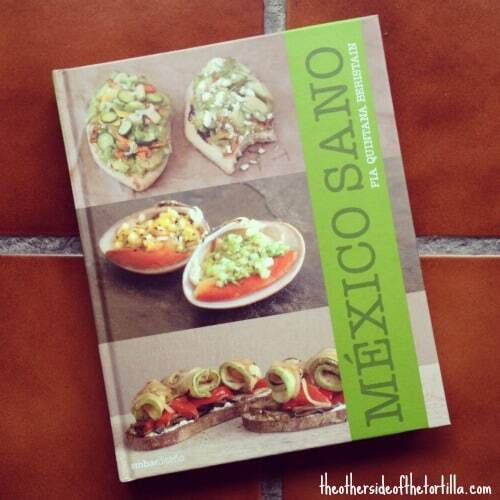 Check RosaMexicano.com for the addresses of locations in New York, L.A., Miami, Boston, Atlanta, Washington D.C., Minneapolis, San Francisco and other cities. 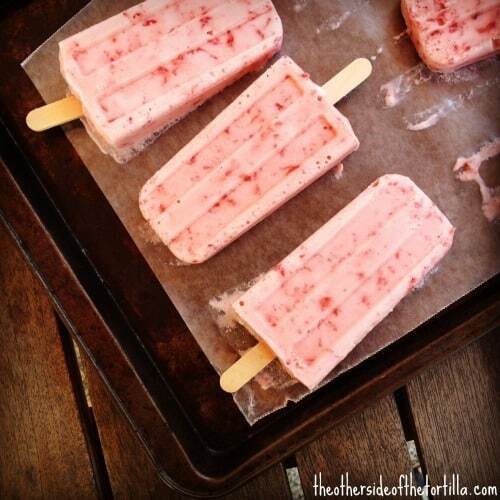 We’ve been really busy this sumer in the test kitchen developing paleta recipes. Here’s the most recent batch that got taste-tested this week: Fresas con crema! 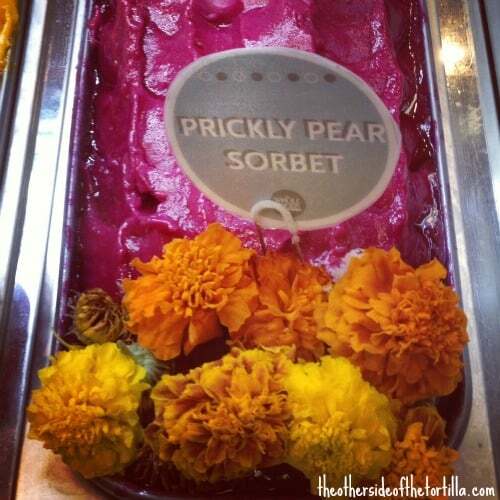 It’s so much fun developing flavors! This recipe was a big hit with my taste-tester group… there’s nothing better than seeing everyone smile and ask for a second one, right? Do you have a flavor you’d like me to make? Let me know in the comments below and you might see the recipe here soon! For many years while living in Chicago, I bought my tortillas each Saturday morning from Tortilleria El Milagro on South Blue Island Avenue in Pilsen. It was also the only place where I would ever buy ensalada de nopales, for which I’d have to wake up extra early because they always ran out quickly. On the back side of the building is this beautiful mural I often stopped to admire when picking up my tortillas. The neighborhood, located on the Lower West Side, is one of the city’s two Mexican enclaves, and is one of the things I most miss about living in Chicago. My weekly trips to the market, tortilleria and panaderia were like briefly stepping out of Chicago and into Mexico for a few hours at a time. 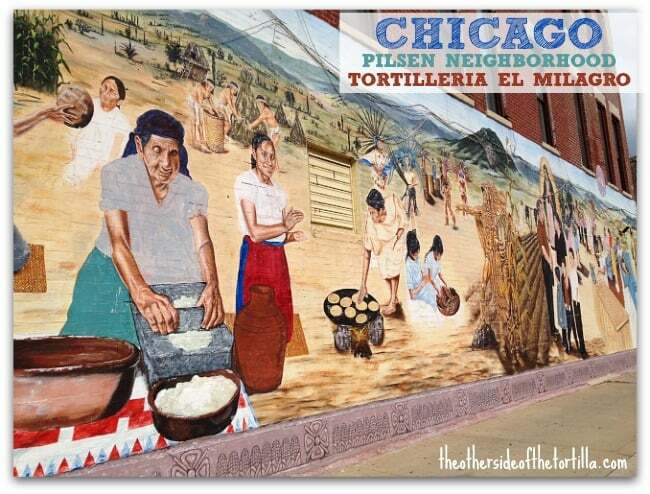 You can read more about the history of Chicago’s Mexican neighborhoods and the murals of Pilsen here. 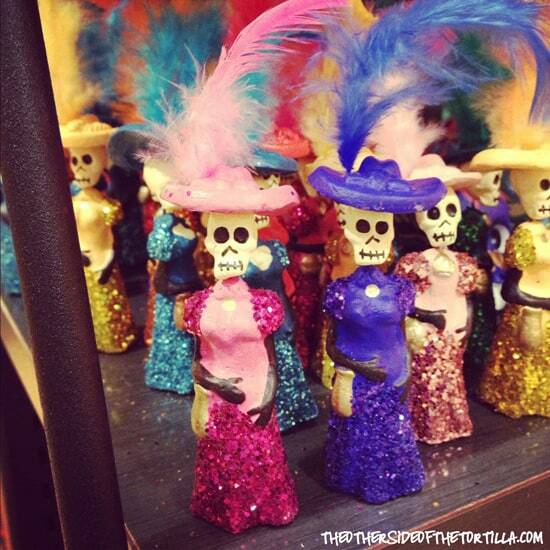 Does your city have something special that transports you to Mexico? There’s nothing like the joy when you discover something familiar in a new place. I recently started shopping at a new grocery store where I stumbled upon an entire aisle of Mexican refrescos. 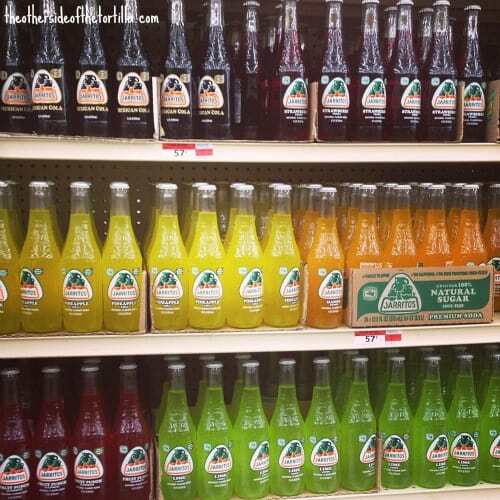 What’s your favorite Jarritos flavor? Me… I love toronja, tamarindo and limón. Tell me your favorite flavor in the comments below! 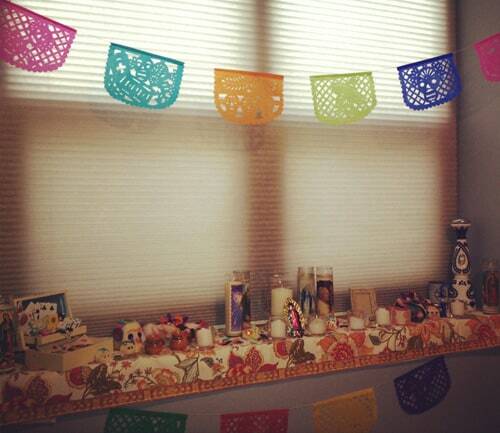 During Semana Santa in 2012, we took a road trip from Mexico City to San Miguel de Allende with José’s parents. I stumbled across a folder of photos from the trip recently and realized I’ve never written about it here. While I take some time to piece together some of my photos and journals from the trip, I wanted to share this photo. I can’t recall the name of this cafe, but San Miguel de Allende has a number of intriguing doorways that just make you want to peek inside. I can remember with such clarity how delighted I was to discover this little restaurant’s colorful and intricate papel picado hanging from the ceiling. 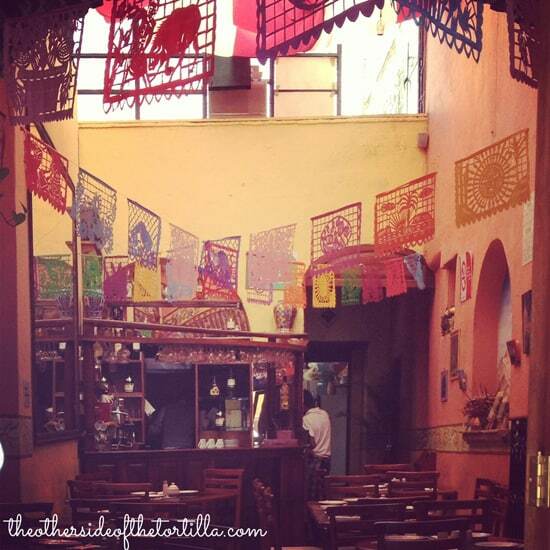 Have you been to San Miguel de Allende? Tell me something about your visit in the comments below! Haven’t been there yet but dying to go? Let me know what you’re interested in doing there while visiting. 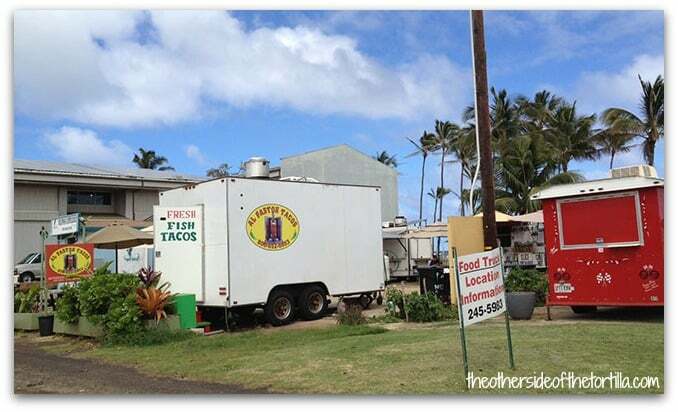 We were visiting the Hawaiian island of Kauai last week for my sister’s wedding and look what we found: A taco truck with tacos al pastor! They had a proper trompo and everything. We didn’t get a chance to stop and eat there because we either were too early, too late or just passing through Kapa’a on our way to Lihue or Poipu to eat somewhere else. They were always busy when we passed by during business hours, so I figure they must be pretty good. I took it as a sign that we need to go back to visit again! We were fascinated with the availability of taco joints on the island and the amount of Mexicans we met. We even found a lady selling authentic Mexican tamales on the side of the road one day. Have you eaten the tacos from this place? How were they? 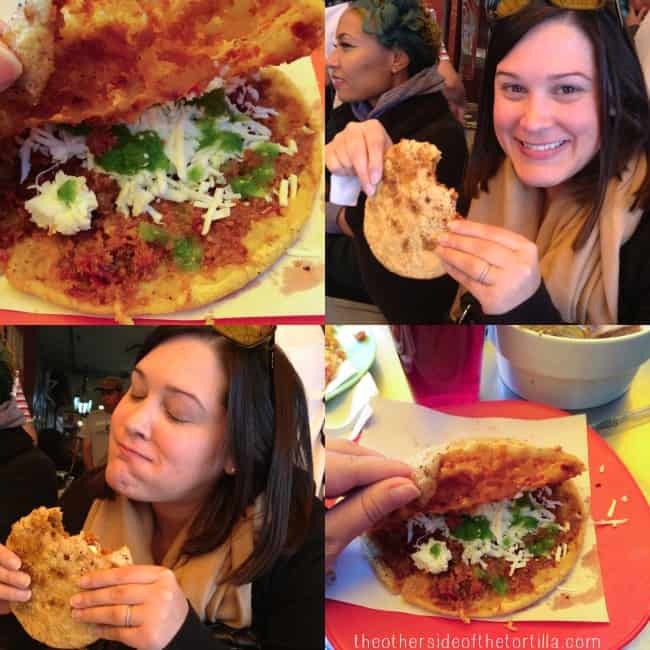 If you haven’t eaten there, tell me where you’ve encountered unexpected tacos while traveling in the comments below! 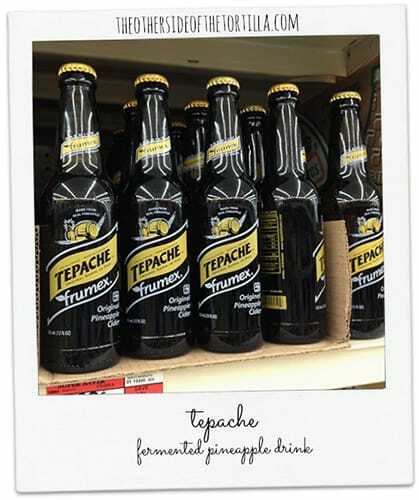 As I’ve been checking out as many Mexican grocers in Los Angeles as possible, I’ve noticed one product (made by a few different brands) that was not common to find in the Mexican supermarkets in Chicago: bottled tepache. I haven’t tried any yet, but I think I will soon just because I’m seeing it everywhere and I’m getting more and more curious how it tastes compared to the homemade tepache I’ve had in Mexico and Chicago from taquerías and street stands. The fermented pineapple drink has a hard cider quality and is originally from the state of Jalisco. For a home-brewed recipe, check out this step-by-step tepache recipe and tutorial from my friend Pati Jinich from Pati’s Mexican Table. I used to frequently find tepache at an aguas frecas stand at the Maxwell Street Market (every Sunday from 7 a.m. to 3 p.m.; free admission and most vendors only accept cash). For more places to find tepache in Chicago, check out this August 2012 article from the Chicago Tribune. Have you had store-bought or bottled tepache? Is it any good and do you have a preferred brand I should try? If you’re a frequent reader, you know all about my deep love for pan dulce and all kinds of Mexican pastries and other baked goods. So, of course it was one of the first things I sought out during my first week living in Los Angeles. A good friend introduced me to this place and I can’t seem to stay away! This perfect concha is from La Monarca Bakery in Santa Monica (they have two more locations: Huntington Park and South Pasadena). I’m sure I’ll be writing more about this place soon, as I like to stop by there whenever I can since it’s not too far from where I work. 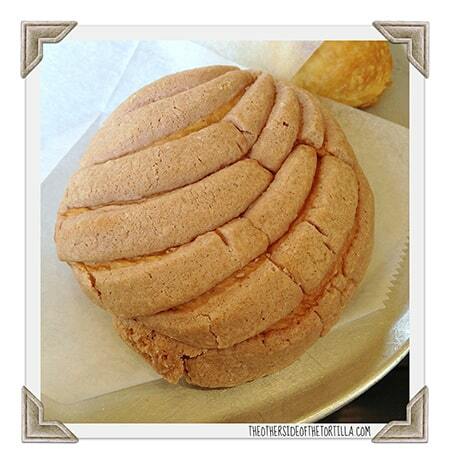 Is there a perfect piece of pan dulce in your neck of the woods? 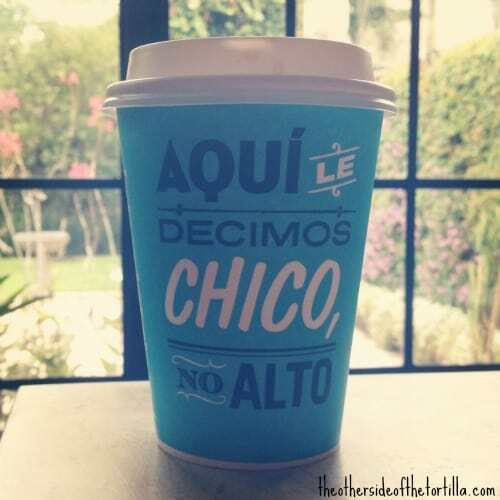 Let me know in the comments where you like to buy your pan dulce, wherever you live! Sometimes we get caught up in the madness that is work, regular life or the holiday season and we forget to be thankful for the small things. 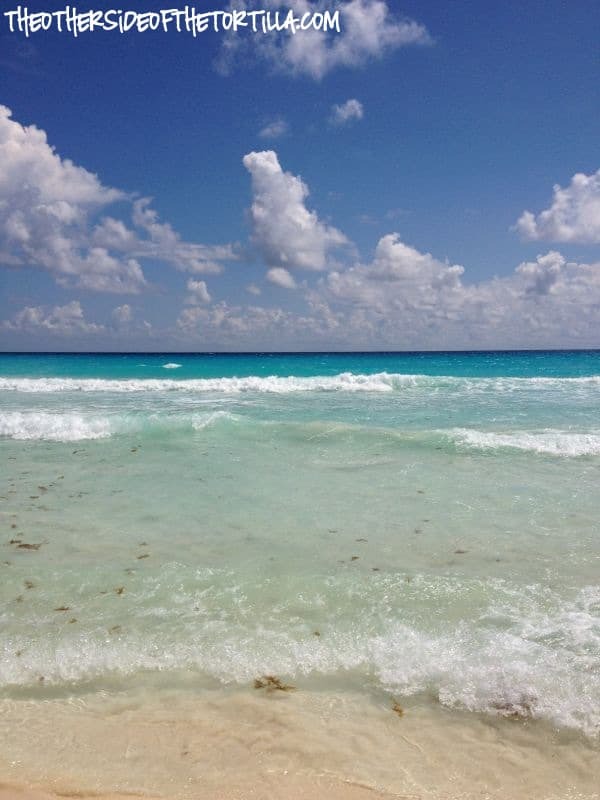 My cuñada was recently in Cancún and sent me this photo of the beautiful turquoise ocean. I’ve been looking at it often, whenever I need a slice of tranquility. And it won’t be long before I see the ocean again, so looking at the photo is a nice reminder that my holiday vacation is not very far away. 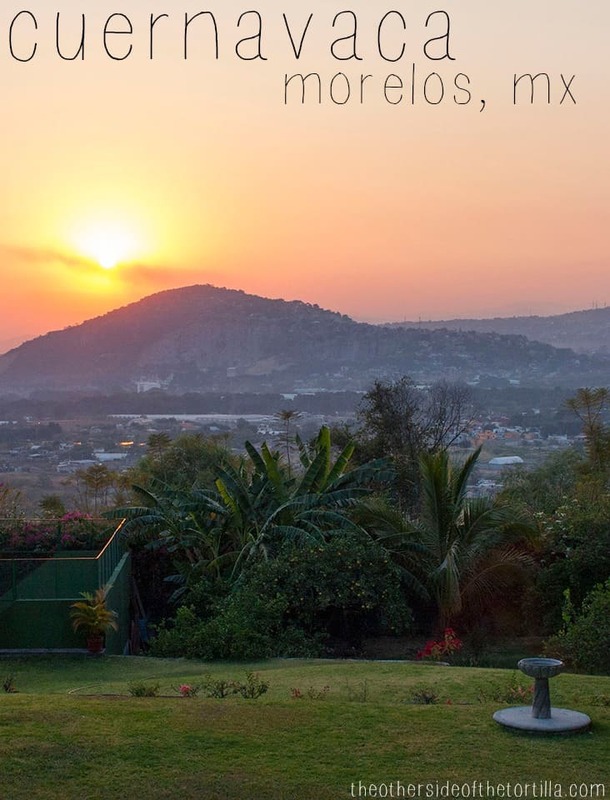 Do you have a photo that you look at often to remind you of a place in Mexico or that takes you to your happy place? Tell me about it in the comments below. One of the great things about living in a city with a large Mexican population is that you can often find Mexican things in places you might not normally expect. This past weekend while running errands at Target, I turned a corner down an aisle I don’t usually shop in to cut through to another section and I saw these colorful piñatas. I love piñatas because they make me think of Christmastime, spending La Navidad and las posadas with our family in Mexico. 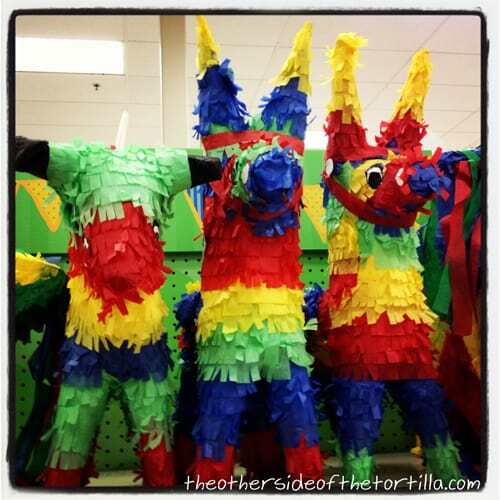 Do you have any fond memories of growing up or spending time with family that involves a piñata? Leave a comment below to tell me!